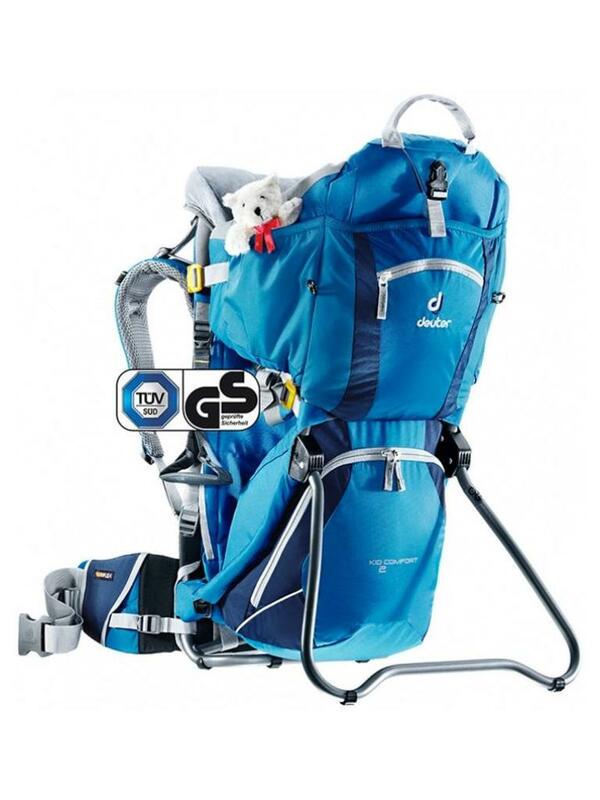 Deuter Kid Comfort 2 - Escape Sports Inc. 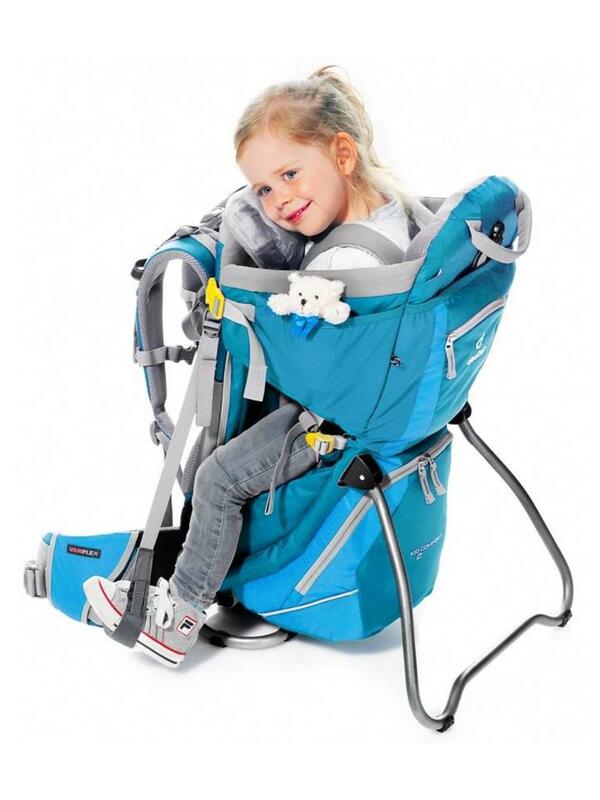 This popular carrier has now gained in comfort and safety: the height and the width of the seat can be effortlessly adjusted – even with the child already seated. The kids can also themselves climb in and out of the seat via the side access. 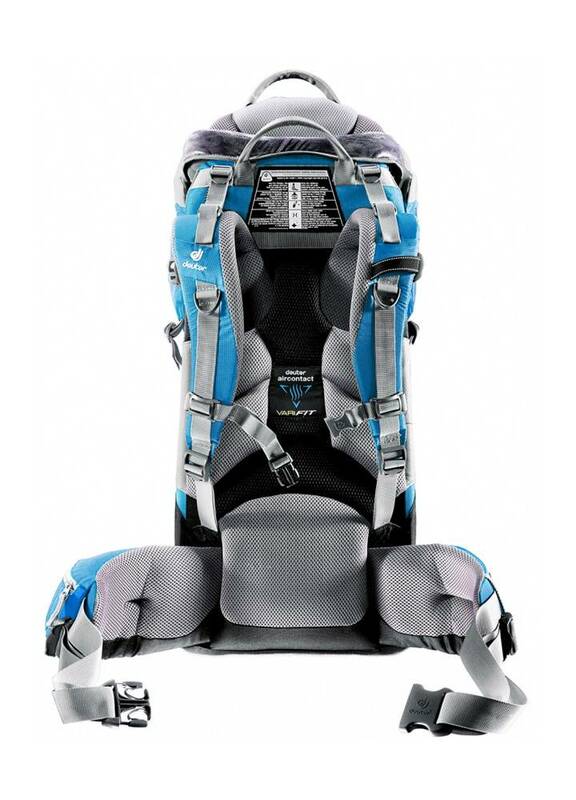 The new ergonomic, large chin pad provides maximum safety and stability in the ‘cabin’ front. When the child takes a nap and the head sinks forward it rests comfortably with optimum side support. 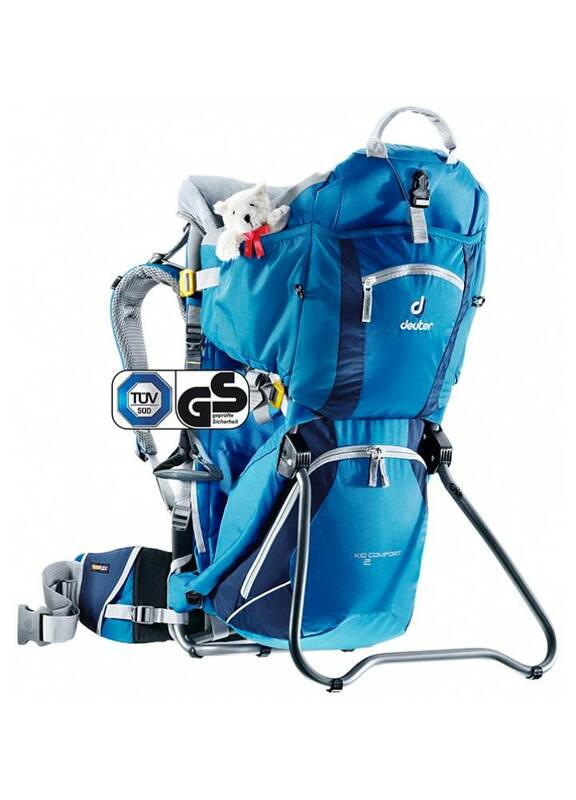 The various pockets and compartments provide multiple storing options, while the back system can be easily adjusted to the wearer. 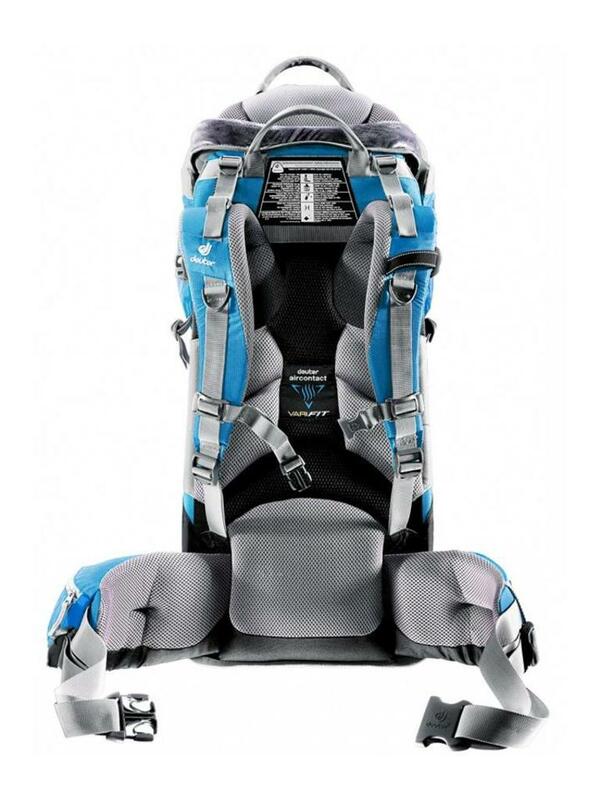 The pivoting Vari Flex hip fins sit perfectly and diligently follow every movement and the Aircontact system saves energy and offers a snug, comfortable fit.